together we are going to research, "how to make a kite"! Once we complete the steps together, you are going to research "how to build a snowman" on your own! You will conduct your research using a safe search engine - Safe Search Kids. If you can't find your own reliable source within 5 minutes you will need to choose one from one of the hyperlinks on the bottom of this page. 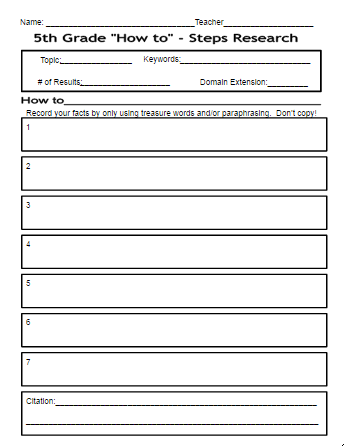 You will record your notes (treasure words) on the graphic organizer handout. Next week you will be writing a paragraph or two in Google Docs about how to build your snowman. Not only will you be referencing your research notes from today, but you will also add your own thoughts and creativity to your writings. Even before you begin your note taking process.......​Don't forget to CITE YOUR SOURCE!